Watching from a New York street as the World Trade Center towers fell, Alex Yaggy knew his younger brother, Marine instructor pilot David Yaggy, would be among the first leading the country's response to the September 11, 2001 attacks. "He was going into harm's way on our account," Mr. Yaggy said of his brother's tour of duty in Afghanistan. "I can tell you I was extremely proud of his service for our country, as someone who watched the World Trade Center collapse with my own eyes." Major Yaggy, 34, of Sparks, survived that duty and two tours in Iraq but was killed Friday afternoon on a routine training flight when his plane crashed near Ashville, Alabama, about 60 miles northeast of Birmingham. Another Marine, Second Lieutenant Alexander Prezioso, 23, of Lake Worth, Florida, also died in the crash, according to the Navy. 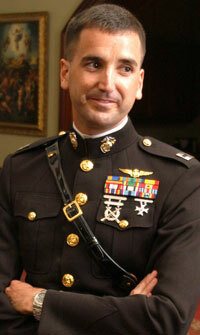 Lieutenant Prezioso was a student in primary flight training at Naval Air Station Whiting Field in Milton, Florida. A Navy spokesman said the cause of the crash remains under investigation. The two Marines were members of Squadron VT-6 at Whiting Field. The crash occurred on the south rim of Chandler Mountain. Major Yaggy is survived by his wife of 2 1/2 years, Erin, and 14-month-old daughter, Elizabeth. The family lived in Pensacola, Florida. Jay Cope, a Whiting Field spokesman, described Major Yaggy as a decorated combat pilot with 10 Air Medal awards and a Marine Corps Achievement Medal with a Combat Action Ribbon. Major Yaggy's father said yesterday that his son had always wanted to serve in the military, although he had not planned to make it a career. Michael Yaggy said his son was scheduled to leave the Marines in May after 13 years. Michael Yaggy, a law partner with DLA Piper in Baltimore, had been a Marine and fought in Vietnam. "We were delighted to have him back and looking forward to his return to civilian life. I guess we collectively felt he'd done his duty," Mr. Yaggy said. Major Yaggy grew up in Sparks and attended the Calvert School. He graduated from the Gilman School in 1992 and the University of Richmond in 1996. While in the military, he earned a Master's of Business Administration degree from Tulane University and had planned to go into business, family members said. Major Yaggy was, according to his family, a quiet yet strong leader whose kindness was put on display during Christmastime. "For Christmas before his deployment, he would give exceedingly generous gifts, and this past one was no different," said Alex Yaggy, 37, who lives in Brooklyn, New York. The brothers were each other's best man in their weddings. Major Yaggy met his wife through his best friend, also one of Mrs. Yaggy's cousins. Yesterday, Mrs. Yaggy was too distraught to talk about her husband. Her brother-in-law, Alex Yaggy, relayed her sentiments, saying: "He was an amazing husband and an amazing dad. No one can fill the hole in our lives." Major Yaggy will be buried at Arlington National Cemetery. Plans for a memorial service had not been finalized. Major Yaggy is also survived by his mother, Eleanora, of Sparks; and a sister, Laura, of New York City. Marine Major David Yaggy was known for giving “exceptionally generous” Christmas gifts before being deployed overseas. David Yaggy, 34, was training another Marine pilot Friday in a single-engine plane when it hit the side of a mountain 60 miles from Birmingham, Alabama. His student, Second Lieutenant Alexander J. Prezioso, also died. Yaggy leaves behind a wife and an 18-month-old daughter in Pensacola, Florida. Yaggy was one of the instructors based at the Naval Air Station-Whiting Field in Milton, Florida, and trained Naval aviators for combat. 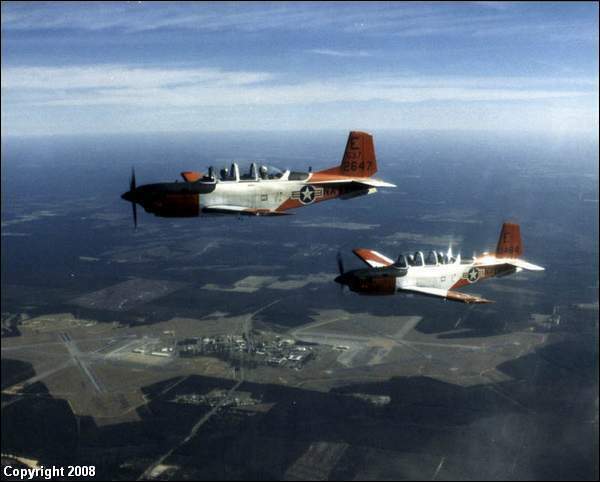 Prezioso, of Florida, was training for a long-range flight in a T-34 Turbo Mentor from the air station to Savannah, Georgia, when the crash occurred.